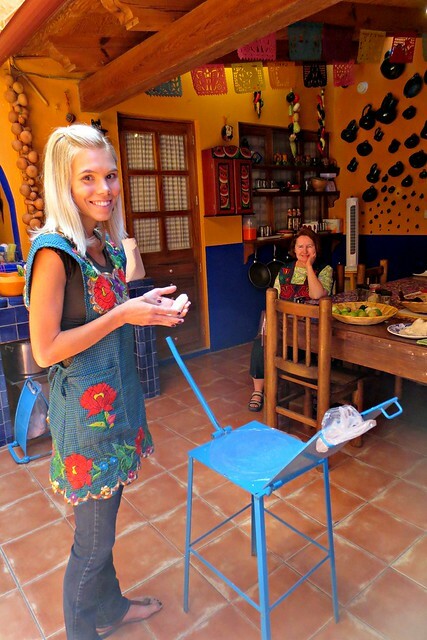 Now I’ve been obsessed with cooking shows ever since I was young and more recently, when I ditched cable last year in order to save money, I ended up becoming obsessed with the television show, Mexico: One Plate at a Time. 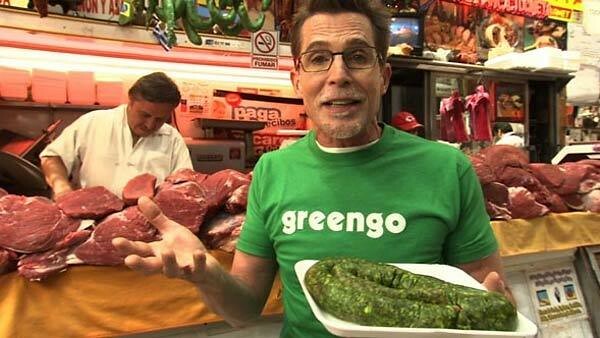 This show is hosted by Rick Bayless on PBS with his daughter as his co-host. 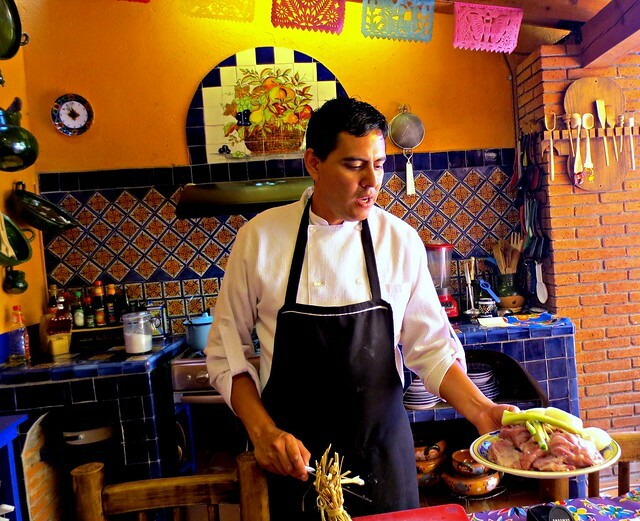 If you’re not big into PBS, maybe you’ve heard his name mentioned on Top Chef, read one of his many cooking books, or heard of his restaurant and product line, Frontera. 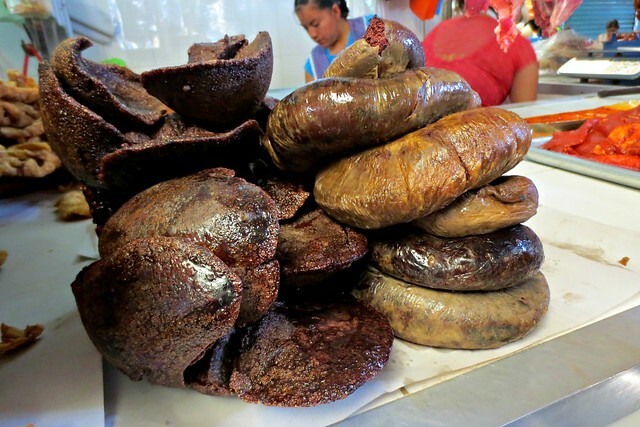 Anyway, last year, while religiously watching Bayless each afternoon on PBS, I noted how he always mentioned the cuisine of Oaxaca, and the delicious dishes found in the region, specifically the mole. 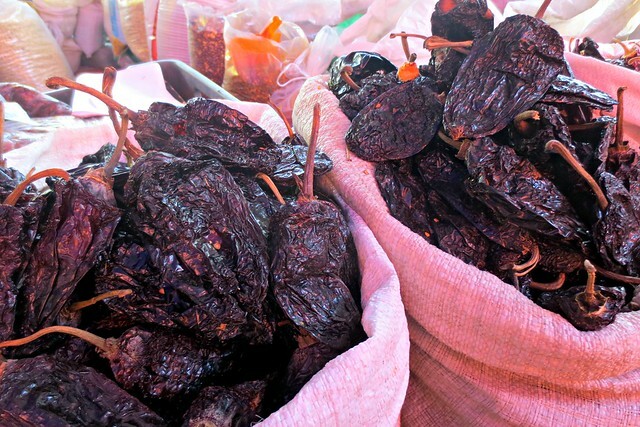 Now I have tried this dish before, such as the array of mole I tried at the Puebla market; however, each mole recipes is unlike any other. 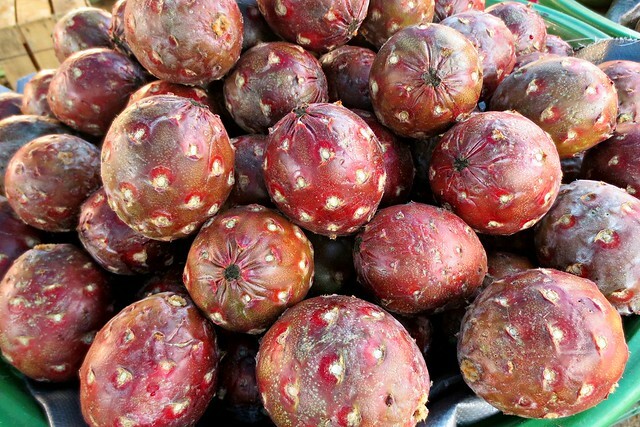 It varies from region to region, and the mole in Oaxaca is much different than that of Puebla. 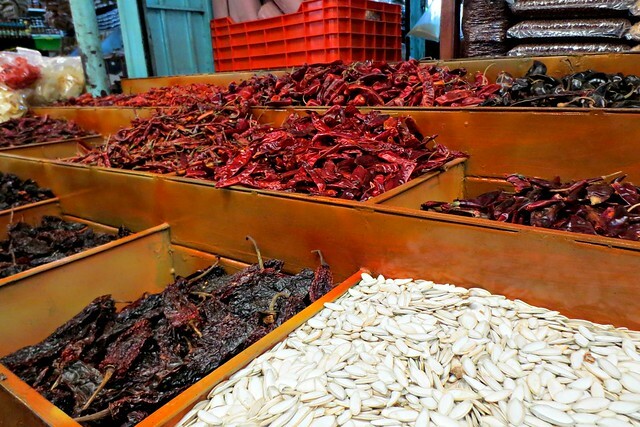 From black to red, and yellow to green, mole can be made up of hundreds of different ingredients, creating a sauce that is unique in flavor, color, and texture. 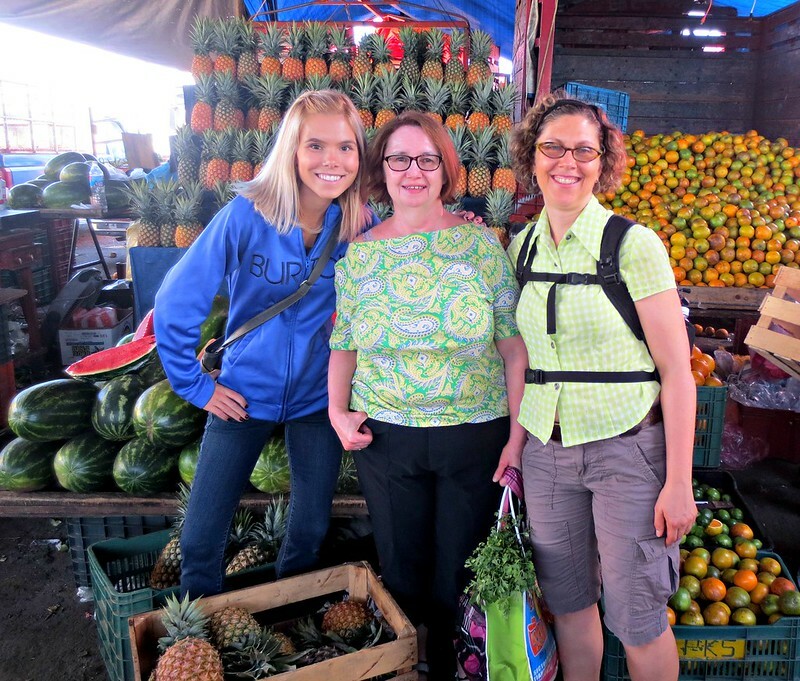 After meeting Gerardo and my two cooking partners from Vancouver, the first thing on our agenda was to head to the Abastos Market to pick up ingredients for our menu. 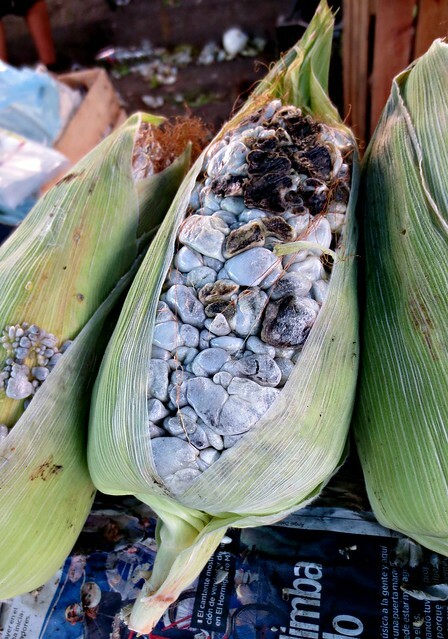 Mercado de Abastos is the largest market in Oaxaca, where you can find every from fresh flowers and garlic, to calves livers and corn fungus. 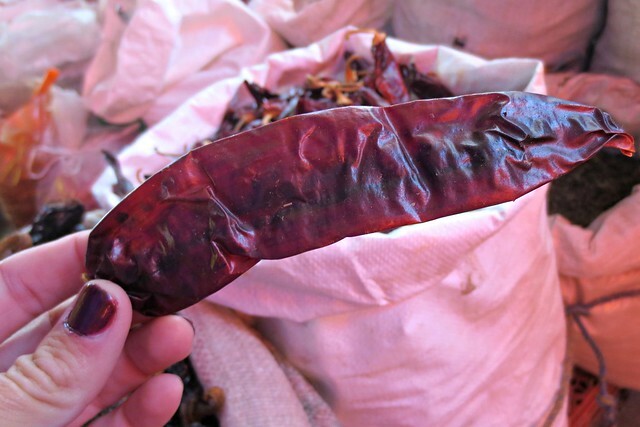 While at the market, Gerardo talked with us a bit about Mexican chiles. 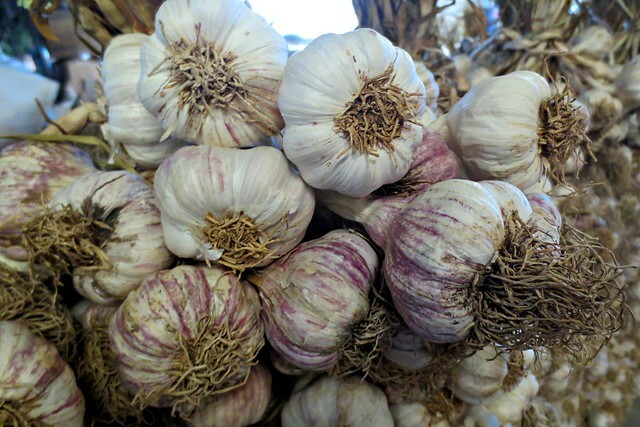 We would be cooking with dried guajillos and ancho chiles, and I’ll discuss later about how he incorporated them into the dish. 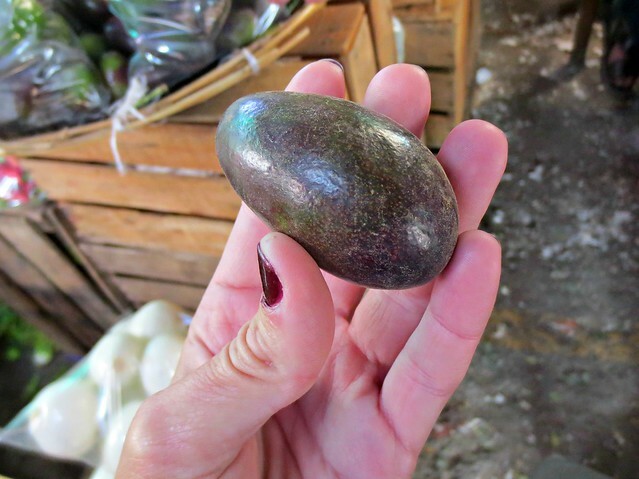 I also learned a fun fact about the fresh chicken in Mexico. 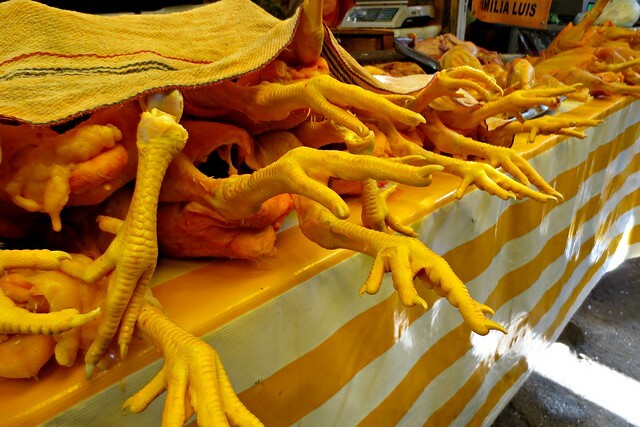 I have always been put-off by the strange yellow coloring of the chickens, but learned from the chef that this is because these chickens are free-range, and consume a lot of marigold flowers, which changes the color of their skin. 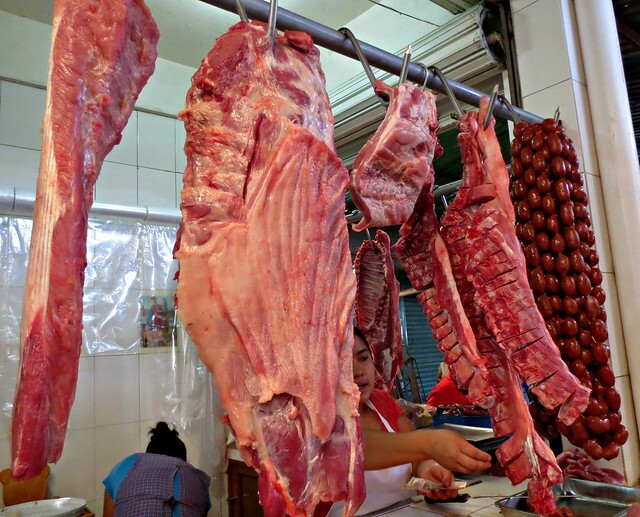 What I once thought as grotesque, is actually a more natural product compared to chickens produced from conventional methods of poultry farming. 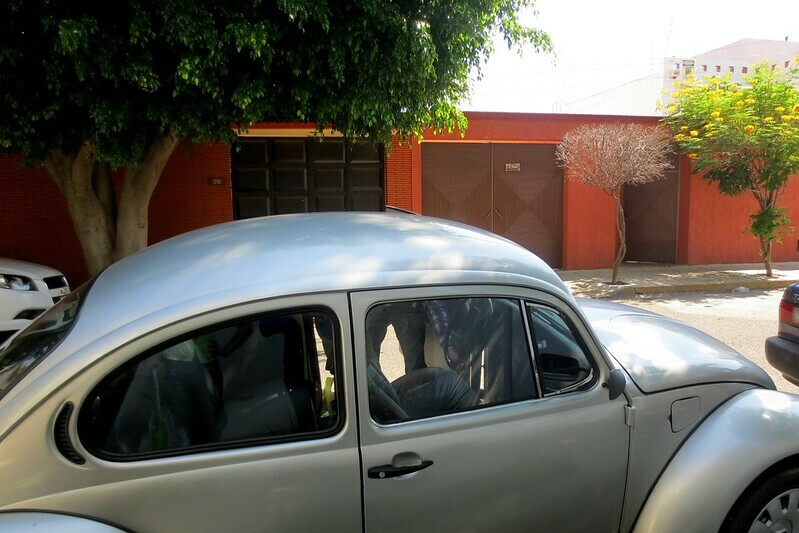 We left the market and headed to Gerardo’s house, which was very cozy and welcoming. 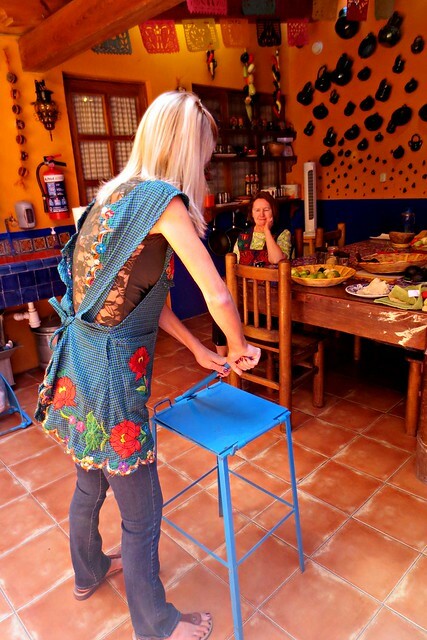 The menu we would be preparing included enchiladas verdes, mole coloradito, guacamole, fresh corn tortillas, and tuna water. 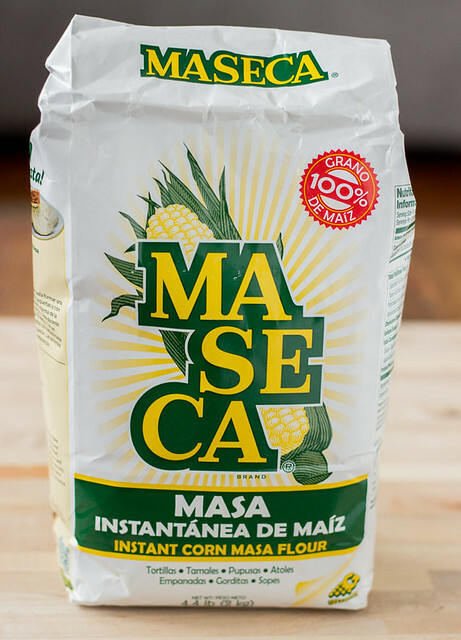 The easiest way to make tortillas is to buy Masa Harina, which is ground corn flour treated with calcium hydroxide. 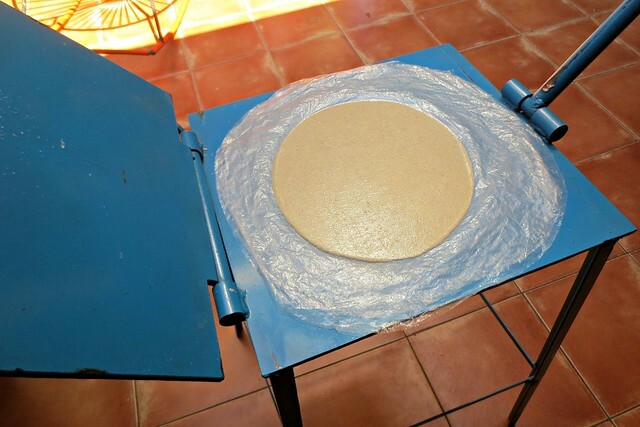 The additive calcium hydroxide makes the tortillas more nutritious and digestible. The back of the bag will tell you the ratio of flour to water. The final product will look something like this. 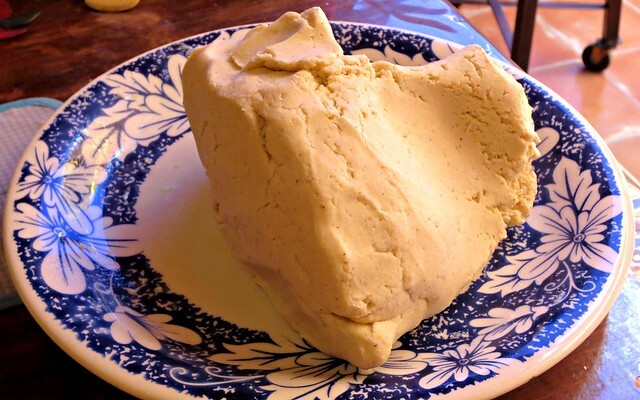 If you don’t have a press, Gerardo said a rolling pin would work just fine. 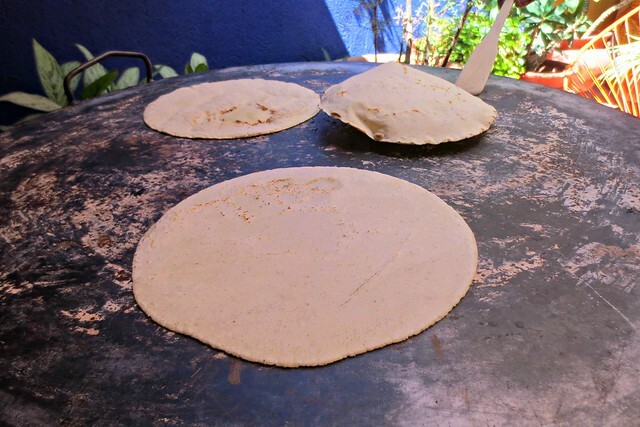 After pressing the tortillas, we cooking them on a comal, or griddle. 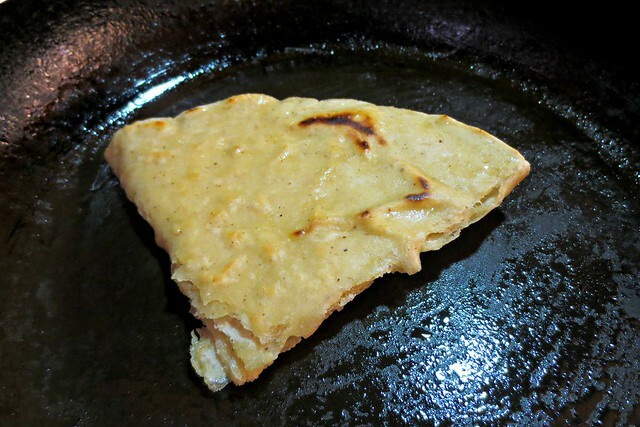 It’s almost easier than making pancakes, and final product should be completely cooked and slightly browned on one side. 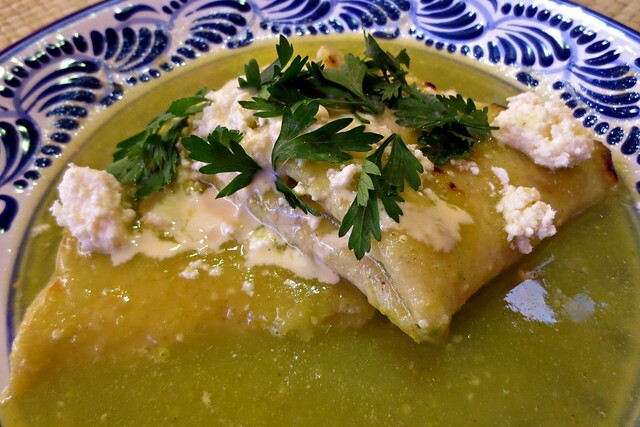 Green enchiladas are made using fresh tortillas, which are smothered in green sauce, and topped with cheese and sour cream. 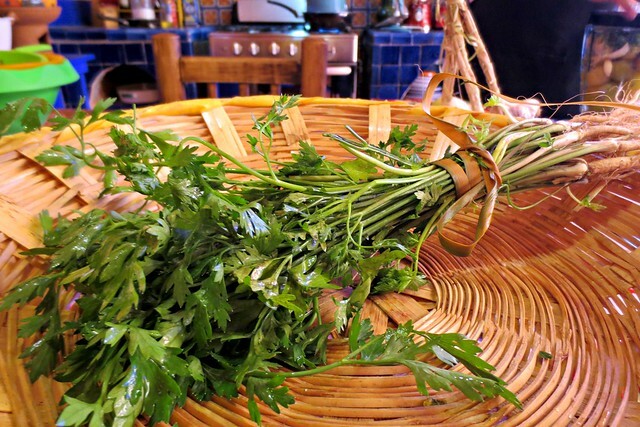 To begin, the most important ingredient is the sauce. 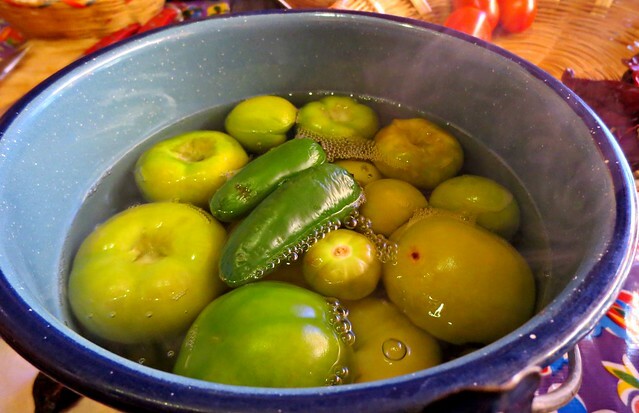 The first step is to boil tomatillos or green tomatoes with two serrano chiles for 5-10 minutes. 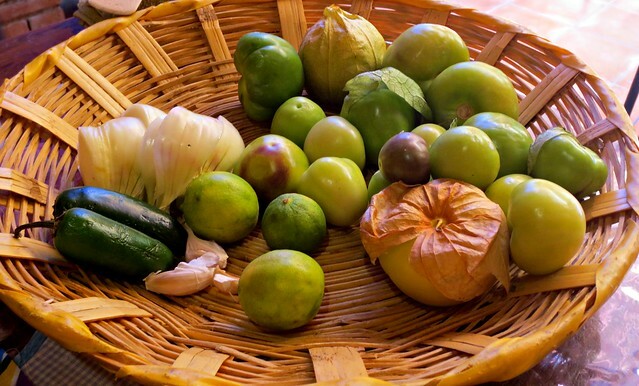 Once cooked, the water is drained, and the tomatillos are blended with an onion, fresh serrano chiles, garlic, and parsley. 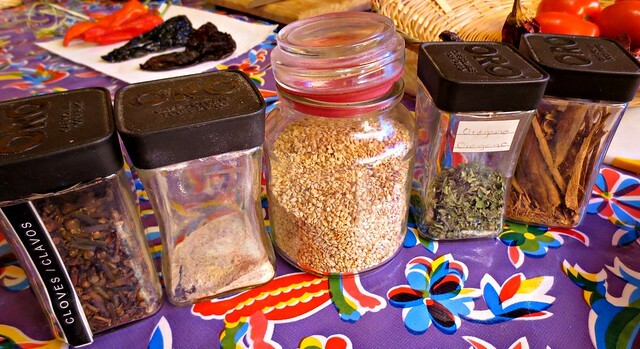 Once blended the mixture needs to be cooked in a little oil to blend the flavors and reduce bitterness. 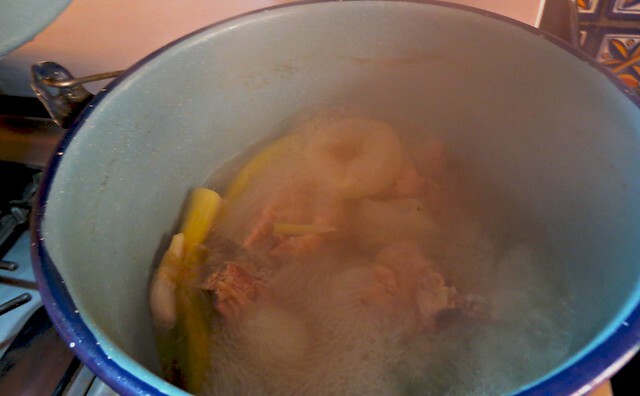 While cooking, the chef added a bit of chicken stock and finished off the sauce with a few pinches of salt. 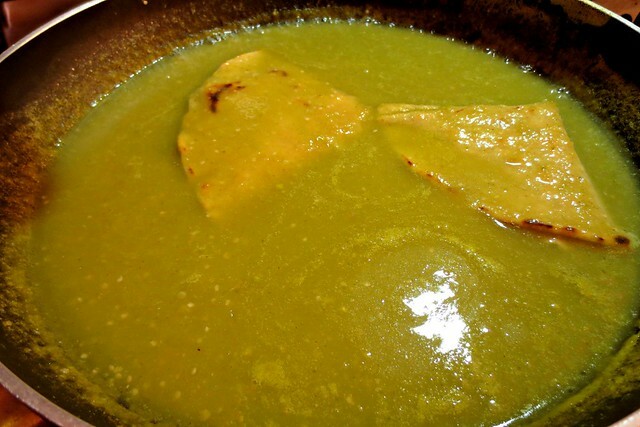 To make the enchiladas verde, we first fried up the tortillas in a skillet with oil and folded them into triangular wedges. 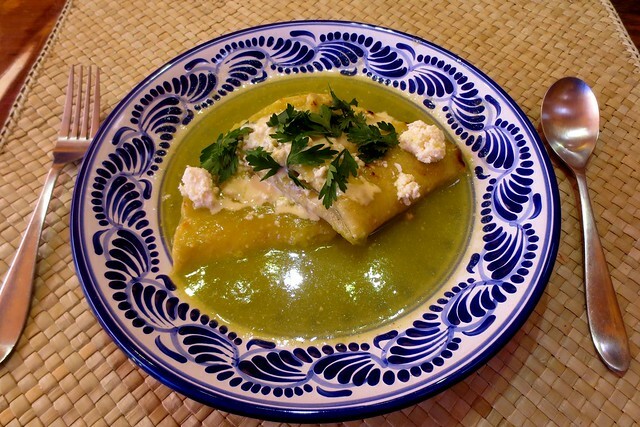 Then, the crispy tortillas were drenched in the green sauce, and finally sprinkled with salty cheese and drizzled with fresh sour cream and a few sprigs of parsley. 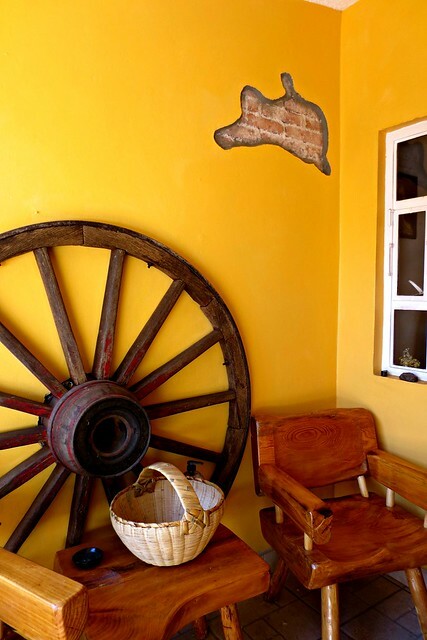 Mole Coloradito is one of the seven moles of Oaxaca. 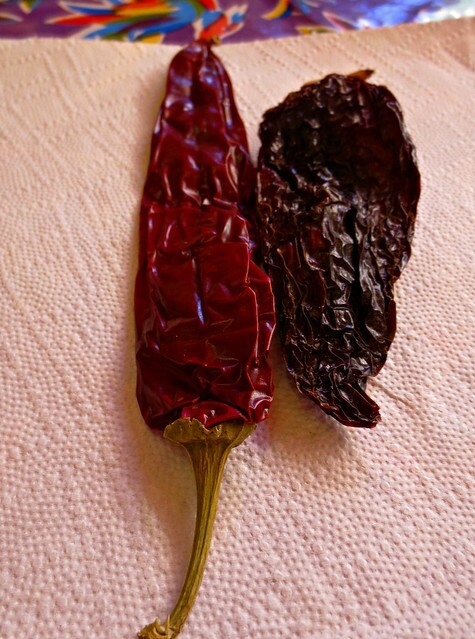 Coloradito translates to, “a shade of red,” and this dish is also referred to as, “sauce on the naughty side.” This mole gets its name from the sauces’ striking hue of brown and red, from a mixture of both bright red guajillo chiles and reddish-brown ancho chiles, with a hint of dark chocolate as well. 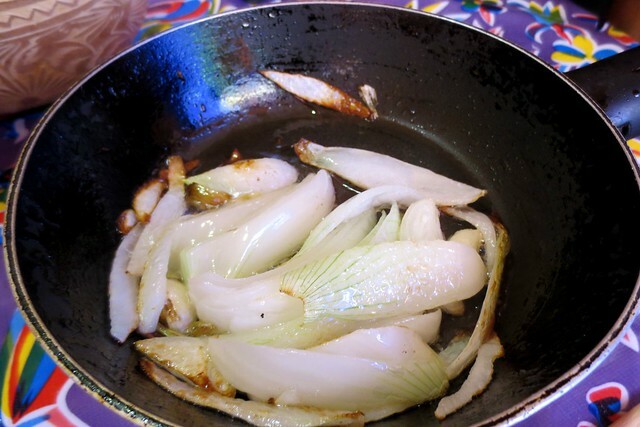 We will be serving this mole with pork, so we began by boiling the meat in a pot with garlic and onions. 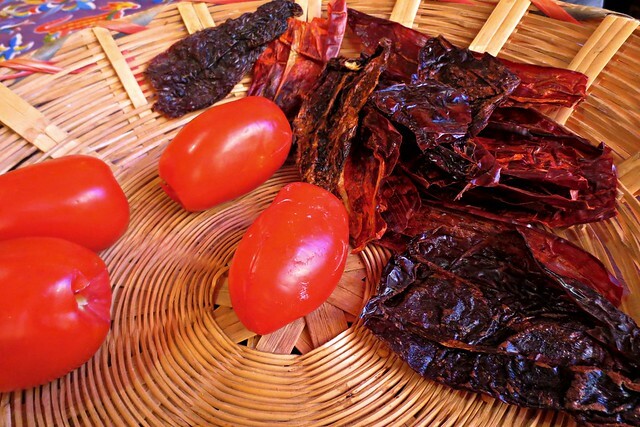 Next, we prepared the dried chiles for the sauce. 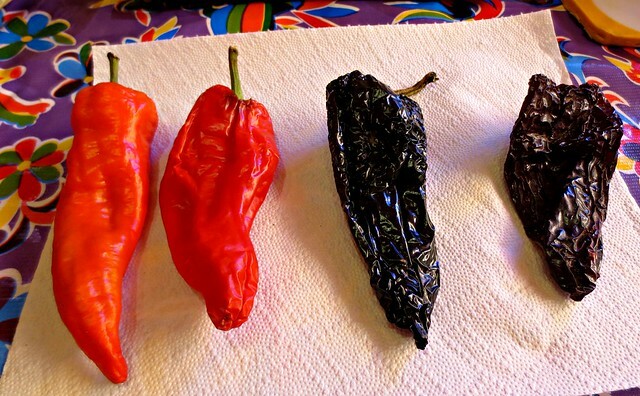 Here is a great visual of how the chiles change from fresh to dried. 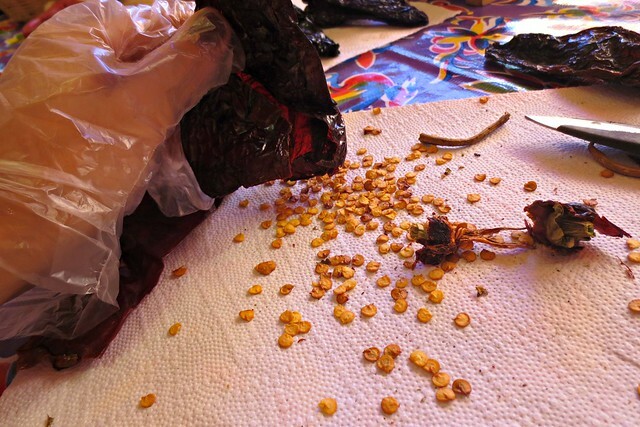 After putting on some PPE or personal protective equipment, we cut the chiles’ stems and removed the seeds. 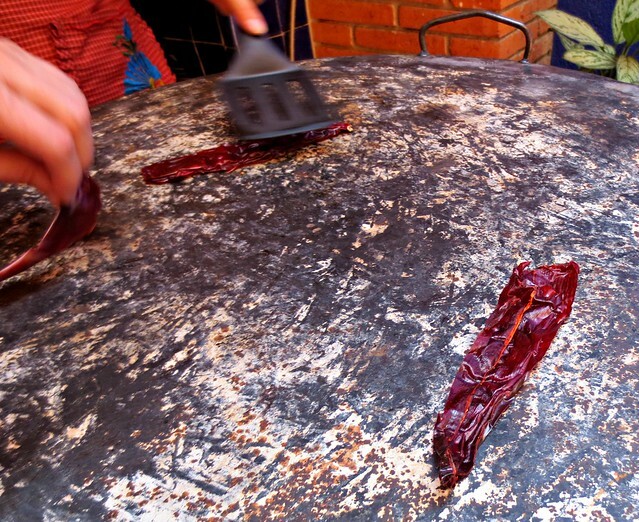 Then, to give the chiles a nice smoky flavor, we placed them on the griddle for 10-15 seconds to char both sides. 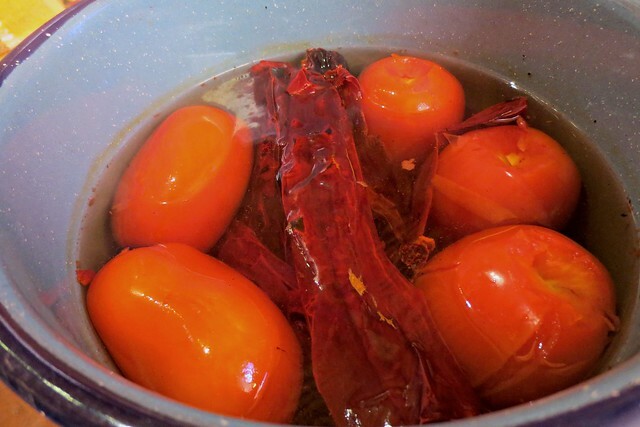 Then, similar to the green sauce, we boiled the red tomatoes for 5 to 10 minutes, then briefly dipped the dried chiles in the water to loosen up the skins. As a tip, we cored and cut the tomatoes prior to boiling to prevent the tomatoes from bursting while they were being cooked. 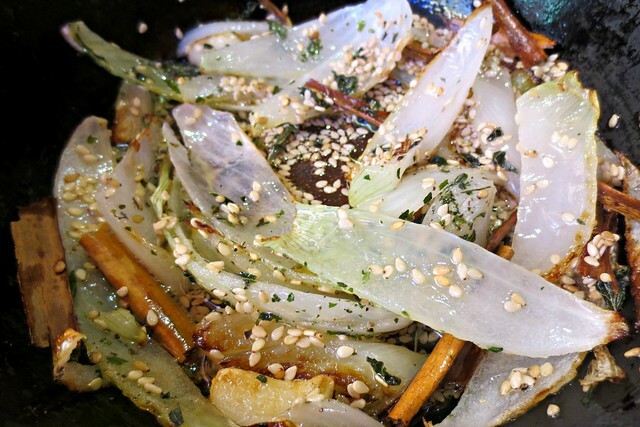 After the onions became translucent, we added a bit of cinnamon, cloves, parsley and sesame seeds to the skillet. 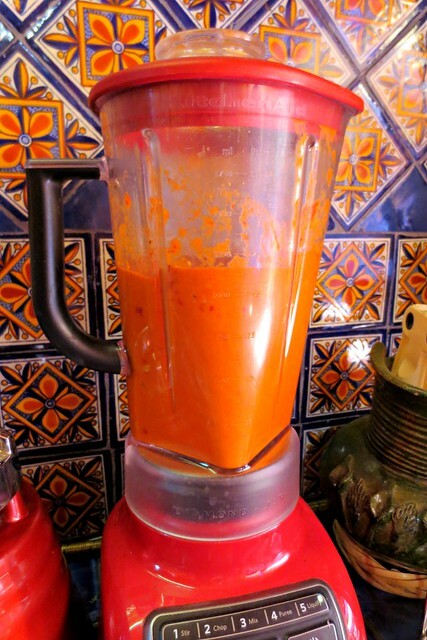 To complete the sauce, we blended the tomatoes, onions, garlic, chiles and spices in the blender, then cooked the sauce in a bit of oil and broth. 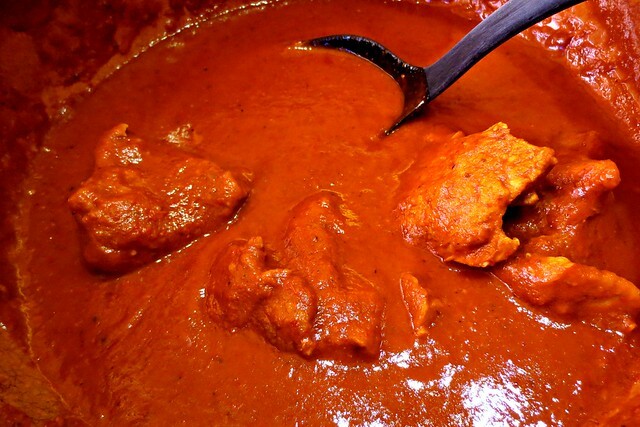 At this point, the pork was fully cooked, and we took it from the boiling pot and added it to the rich, thick chile sauce. 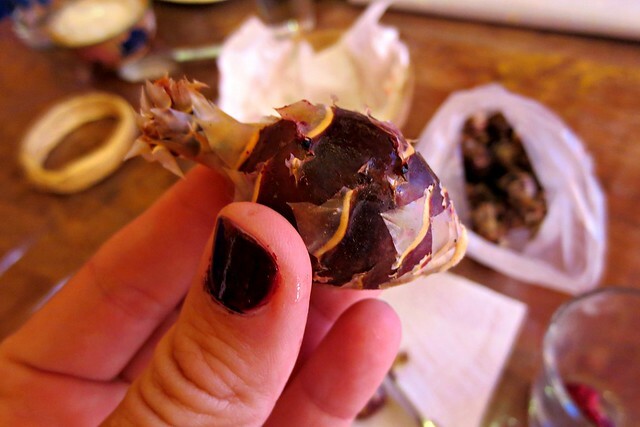 To finish off the sauce before serving, the chef added a bit of dark chocolate and a few pinches of salt. 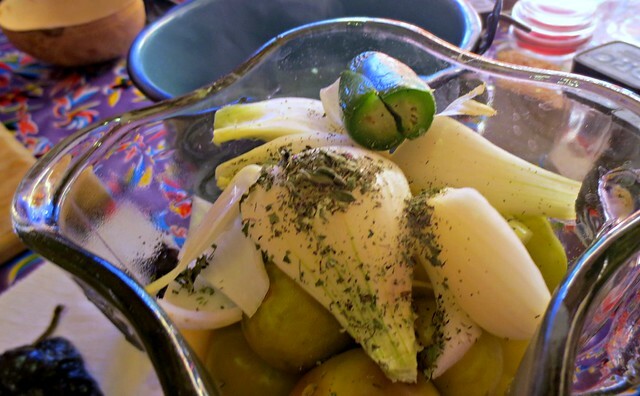 Surprisingly, we hadn’t salted at any other point in the cooking process. 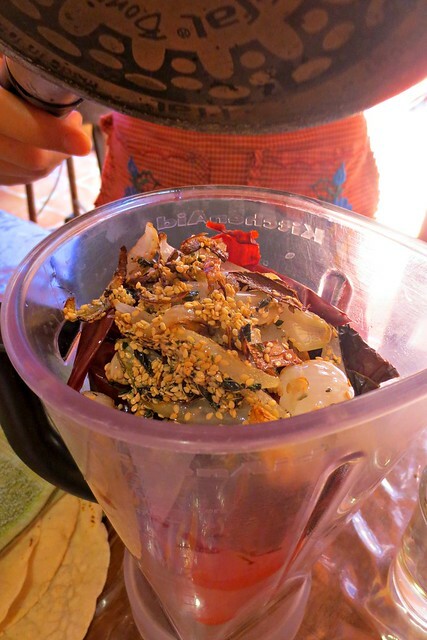 We relied only on the natural salt of the pork broth, and various other seasonings to flavor the dish. 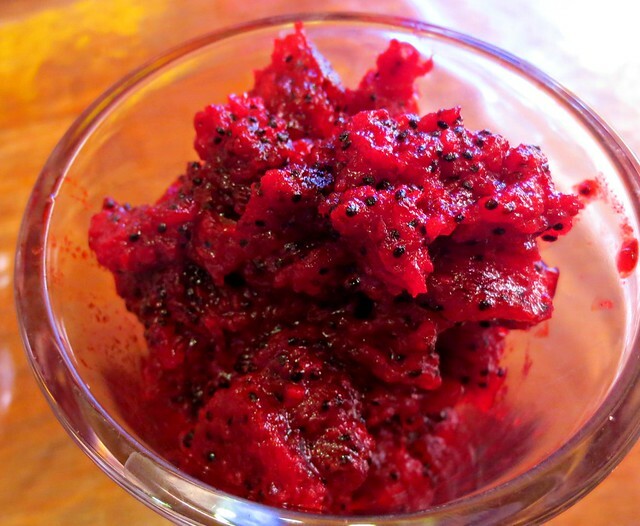 The final product was creamy and decadent, with the perfect balance of sweet and spicy. The tuna was sliced to reveal a deep dark red fruit, which is a delectable cross between a raspberry and strawberry. To make the drink, we simply added water and sugar to taste. It was very light and refreshing! 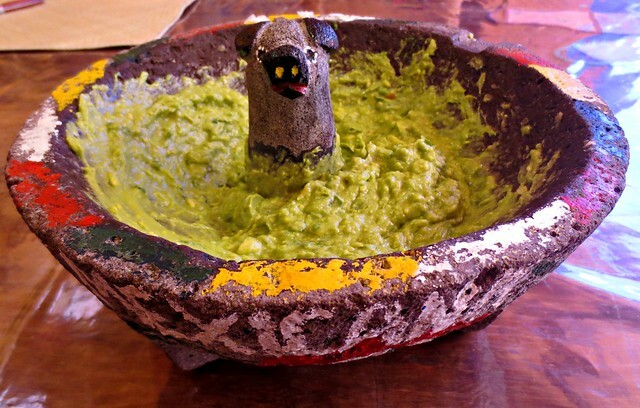 The guacamole was a blend of fresh onion, garlic, cilantro, avocado and lime juice. 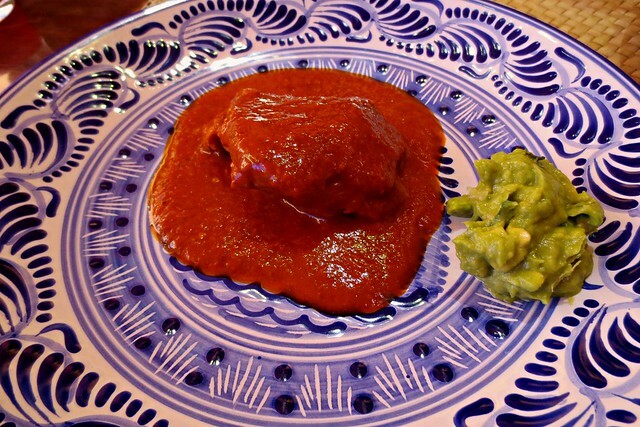 We served the mole with fresh tortillas and our creamy guacamole. Absolutely delicious! 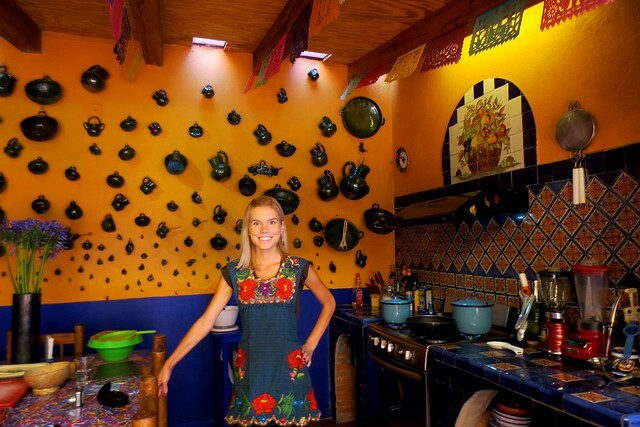 Well hopefully this post has inspired you to recreate some of these Mexican dishes in your kitchen as well. 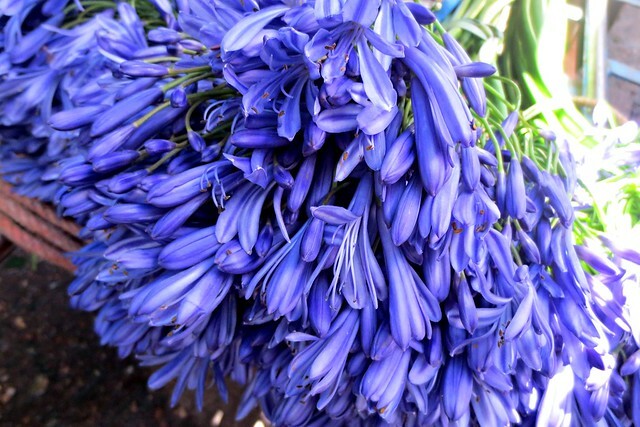 I’d love to know how they turn out! 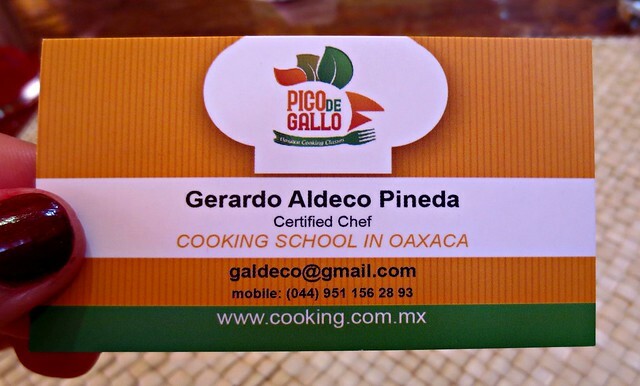 Well folks, this cooking course was the just the beginning of a very long and exciting weekend exploring Oaxaca. 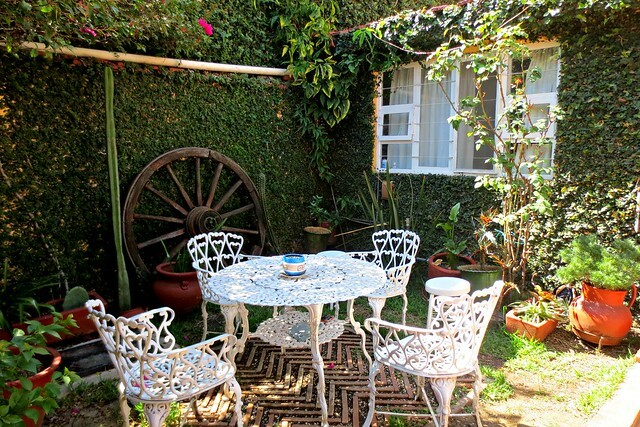 Su Casa is calling your name! 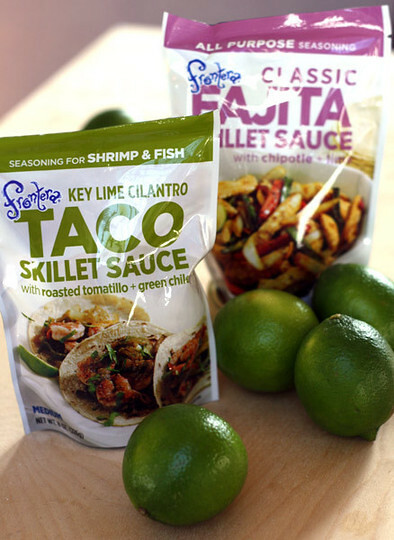 Yum,now that’s mexican food! (kind of)!